Kansas isn’t really the first place in the world where people might leap to when thinking of the place where heroes rise. Not that the place is particularly unheroic but the simple lifestyles that are so frequently depicted amidst the comforting cornfields and home-style neighborhoods do not immediately incite the ideas of adventures, of villains, or of the protagonists of a story that might rise up against the wickedness of the world. But, then again, if you think about a certain red and blue clad hero from Kansas, it takes very little time to get on the same page and know exactly who we’re all talking about! 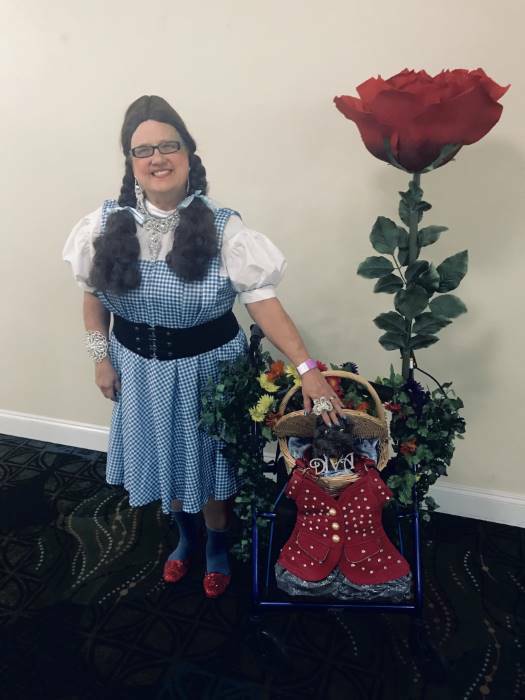 In the mean time, we all know the vexing story of the evil wrought on the Land of Oz by the terrifying and powerful Wicked Witch of the West and we’re in need of some serious help from the only one who can step into Dorothy’s role: you! 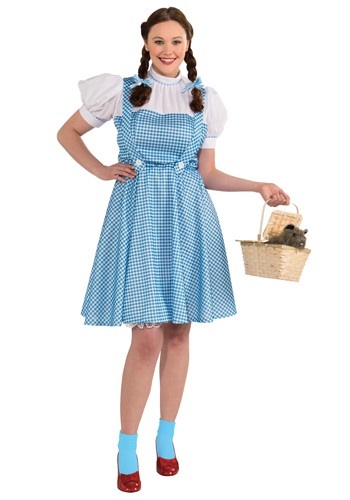 Do so with this Adult Dorothy costume, including a lovely one-piece plaid dress and blouse combo in her famous blue and white color pattern. Matching hair ribbons ensure that your braided pigtails stay in place during your adventure. Accessorize yourself for your adventure with our magical slippers to make sure that you can return home at the drop of a witch’s hat or three clicks of your heels. The quality of this costume is really nice. I love the zipper in the back. My only complaint is that I'm 5'4" and the dress almost reaches my ankles. I had to cut 7.5 inches off of it so that it looked like the length on the model. Not all plus size girls are giants!